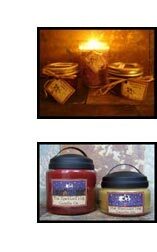 Brand:The Spotted Hog Candle Co.
I’m always on the lookout for new and interesting candle companies and I certainly found one with this online company. It’s so much fun trying new candles, especially when you find really awesome ones. The Spotted Hog Candle Co. offers many different size candles from mason jars to apothecary jars along with votives and tart melts to please just about any candle lover. They also have a wide variety of fragrances to choose from which always makes shopping fun. One aspect I absolutely LOVED about these candles is that the 16oz mason jars I ordered were double wicked. Tarrah Zimmerman, the owner of The Spotted Hog Candle Co. loves bakery scents so she tends to specialize in that category. She does have other fragrances if you don’t care for bakery scents so don’t let that detour you. She has formulated her own special blend of paraffin wax to hold and maximize scent, much like soy wax, burning smoke and soot free. Whatever magic formula she’s created is truly amazing because these candles are very strong and smell INCREDIBLE!! There are lots of delicious choices on the fragrance menu so good luck deciding what to order. I’m such a sucker when it comes to candles and want everything the first time around. I know I can’t buy everything so I (key word here) try and limit myself to a few fragrances and if I like them, I can always order more later. Predictably, I broke my rule and ended up ordering a way more than a few. Happily, it worked out in the end because I loved them all!! I’m not really into bakery scents but wanted to order a few since they’re her specialty and I’m glad I did because they were awesome. I decided to burn Lemon Cream and Mixed Berry Crumble first to review. What did my Lemon Cream & Mixed Berry Crumble candles look like? My candles are 16oz wide mouthed mason jars. My Lemon Cream candle is yellow and Mixed Berry Crumble is a maroon color. Both candles are double wicked. The candles are simple with no labeling which enables them to fit with any decor. How did my Lemon Cream & Mixed Berry Crumble candles smell? All three berries are mixed pretty well because I can’t distinctly smell one from the other. I can totally smell the buttery crumbly part and I loved that! The fragrance is so rich and the depth of the scent throw makes your mouth water for the real thing. This fragrance is really strong so there is nothing subtle about this candle. No matter what or where I was, I could smell it in every part of my house. That’s my kind of candle! Just like Lemon Cream, my husband kept asking me what I was baking. It was hilarious, I am totally not a baker which he of all knows and yet he still asked me that a few times! When I kept telling him it was my candles, even he was impressed! 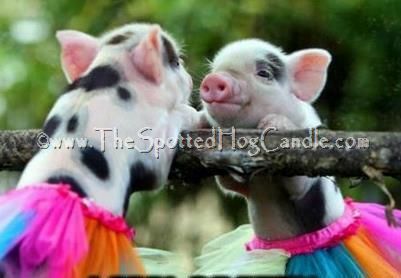 Take that as a compliment Spotted Hog Candle Co. I now know if I want to impress guests with my incredible baking skills, I’ll know which candles to burn :-). How did my Lemon Cream & Mixed Berry Crumble candles burn? My candles are burning clean and evenly with no wax residue. No soot or smoke. Just keep those wicks trimmed. I absolutely loved my candles, every one of them! These are by far some of the strongest and most authentic candles I’ve ever burned. The fragrances I chose are pretty true to the description and the quality is beyond expectation. Just smelling my other unlit candles tells me how strong they’re going to be and when they’re burning, the fragrance completely saturates my house with its fragrance. It’s hard to describe but the aromas from my candles seem so rich and thick, even when unlit. If you go to the fragrance list on their website (not the fragrance description page) the fragrances are rated from light to strong so you know exactly what you’re getting. That is another feature greatly app reciated… it’s so helpful to know the strength of scents you’re interested in before making a purchase decision. Prices are out of this world and shipping is also reasonable. For bakery scented lovers out there, you will absolutely fall in love with the fragrance list. After trying them, I think everyone will. For those of you who like to burn wax tarts, I test burned several and 1 tart will fragrance a large room for an entire day, not just a few hours. I melted them in my bedroom and the fragrance filled my huge bedroom & connecting bathroom, I was really impressed. I looked up the description on the website and they boast 12 hours of fragrance per tart, and it’s TRUE!! I know I must sound like an infomercial but I really can’t help it. I feel like I’ve just won the lottery and have to share my winnings! What more can I say? I’m in love, total utter, blissful love! You have got to try some!! Click here to shop for candles from The Spotted Hog Candle Co.
Have you tried these two fragrances from Spotted Hog? Review and rate your experience with us. It’s easy… write your review and star rate in the comment section below. Mmm... I tried two yummy bakery scents from The Spotted Hog Candle Co... Lemon Cream and Mixed Berry Crumble.